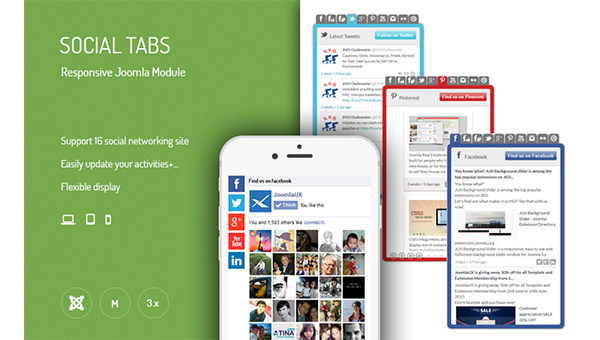 JUX Social Tab is a joomla social module which combines 16 social networks profiles and unlimited feeds display into slick slide out or static tab with directly real time update on your site. It is update to version 1.1.6 with fixed API errors . Now Social Tabs users can easily get data from social networks with ease. As you may already know, JUX Portfolio Pro is a professional version of JUX Portfolio – a responsive Joomla portfolio extension. It supports users to display items, including images, Youtube and Vimeo videos in 3 layout styles that are Classic, Masonry and Packery layout. Select image gallery error on Joomla 3. 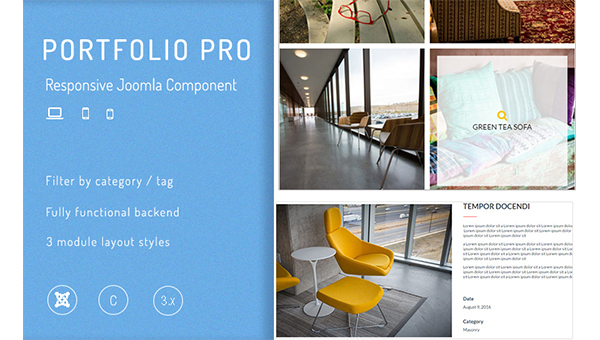 Don’t forget that JUX Portfolio Pro still supports multi-languages and 7 layout styles for each item in details. 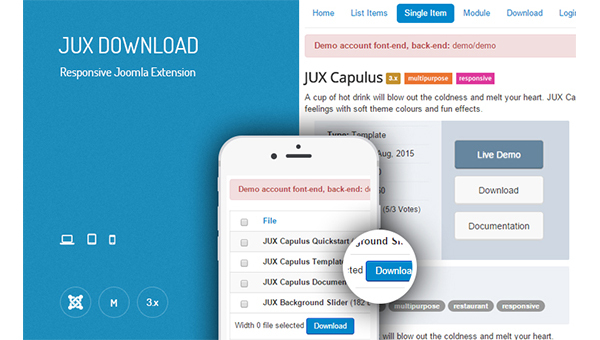 JUX Download is a great Joomla Extension which help users download different file types. This extension allows admin to set permission for different access level to download their files. Joomla Download has created 2 download lists for public download and registered download. 10 groups that are Public/ Demo/ Guest/ manager/ Administrator/ Registered/ Author/ Editor/ Publisher/ Super User are offered to admin. So what’s new in version 1.0.2? What are you waiting for but updating right now? 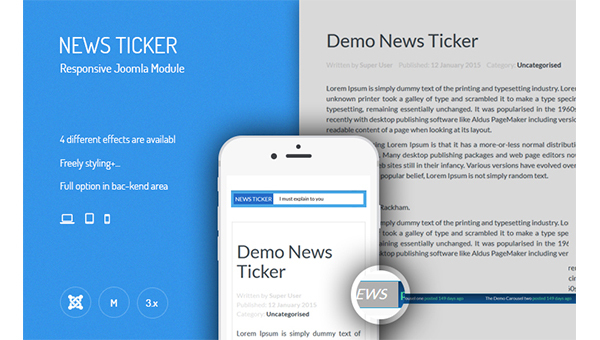 Those are latest updates on 4 JoomlaUX extensions these days and we hope that you are happy with our effort. Now we are on the go of updating other modules and components, so is there any suggestion you wanna release? Please kindly let us know by comments below this post. We are happy to hear from you. If you believe what we bring out is helpful, FOLLOW Joomlaux - a provider of the best joomla extensions to get more and beyond!